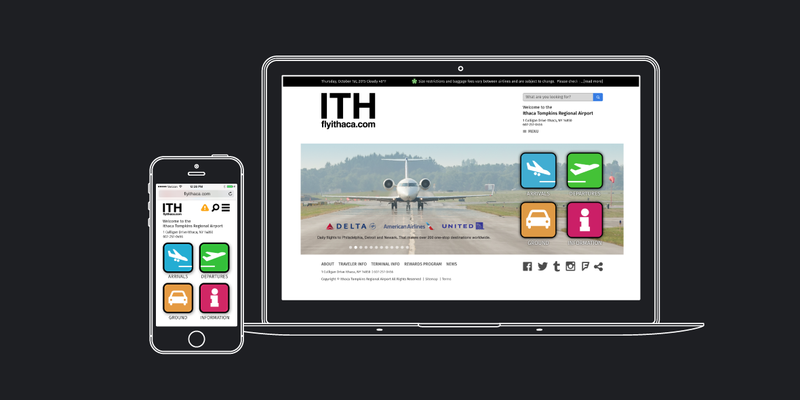 For the Ithaca Tompkins Regional Airport we took a long look at how travelers use the Internet at a small airport and asked, “What do we really need?” The answer: keep it simple. With this in mind, we decided Minimalist Design would be the most effective. Minimalism in web design emphasizes simplicity and the removal of superfluous elements in an interface, stripping it down to its core functionality. For the public travel, it provides you with everything you need and nothing you don’t.